NEW YORK - U.S. stocks are edging higher, keeping indexes at record levels, as investors assess some mixed reports on the economy as well as some deal news. The Standard & Poor's 500 index rose four points, or 0.2 percent, to 2,022 as of 2:10 p.m. ET. 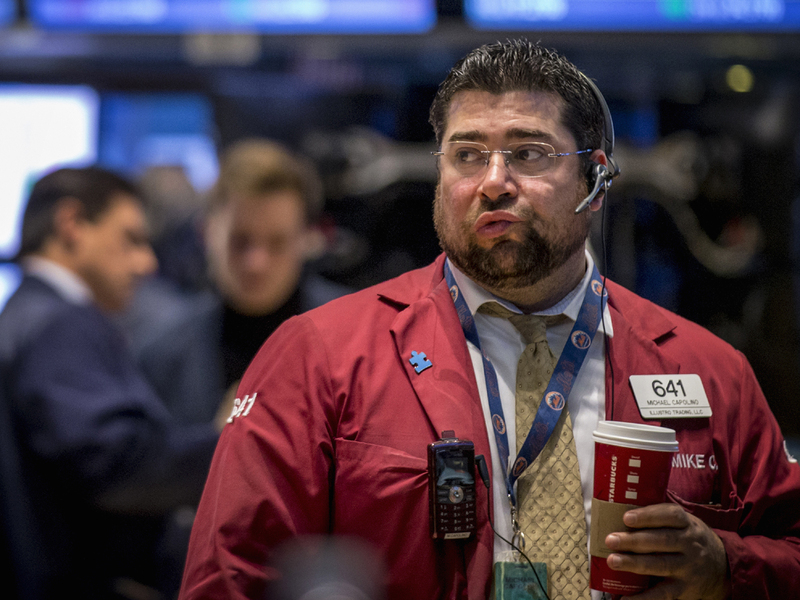 The Dow Jones industrial average fell one point to 17,389. The Nasdaq composite gained 13 points, or 0.3 percent, to 4,644. The S&P 500 and the Dow closed at all-time highs on Friday after the Bank of Japan surprised investors by announcing it would increase its bond and asset purchases in an effort to stave off deflation. Strong company earnings also helped the stock market recover from an early October slump. U.S. factories were busier in October. Orders, productivity and hiring all grew faster than they did in September, according to a private survey. The Institute for Supply Management, a trade group of purchasing managers, reports that its manufacturing index rose to 59 last month from 56.6 in September. Any reading above 50 signals expansion. The increase reverses a drop in September. A separate report showed that U.S. construction spending fell for a second straight month in September as a slight rebound in housing was offset by further declines in nonresidential building and in government projects. French advertising group Publicis said Monday it would to buy Boston-based marketing, communications and consulting firm Sapient for $3.7 billion in cash. Sapient's stock soared $7.29, or 42 percent, to $24.62. LabCorp will pay about $6.1 billion in cash and stock to buy Covance in a tie-up that aims to improve clinical trial research for pharmaceuticals. Covance shareholders will receive $75.76 in cash and a portion of LabCorp stock for each share they own. Covance's stock surged $20.11, or 25 percent, to $100.02. Germany's DAX declined 0.8 percent to 9,251 while France's CAC-40 fell 0.9 percent to 4,194. Britain's FTSE 100 was 0.9 percent lower at 6,488. A gauge of Chinese manufacturing released by a government-sanctioned industry group came in below what analysts were looking for. The weakness raised concern that growth in the world's second-largest economy will decline further. A similar report into the manufacturing sector of the 18-nation eurozone from financial data firm Markit was similarly downbeat. The manufacturing reports kick off what's likely to be a busy week in the financial markets. The European Central Bank meets on Thursday to decide whether it will take more steps to stimulate the region's ailing economy. And on Friday the U.S. government releases its monthly jobs report. Now that the Federal Reserve has shut down its bond-buying program, investors are assessing when the Fed will start to raise interest rates. Falling gas prices, improving hiring prospects and stabilizing house prices should help boost consumer sentiment and underpin both the economy and the stock market, said Sean Lynch, global investment strategist for Wells Fargo Private Bank. "The key for us is to watch consumers heading into the last couple months of the year, with the holiday season," said Lynch. Confidence "is much improved over where we were a year ago, or two years ago." The Bank of Japan's announcement that it will increase its asset purchases weighed heavily on the Japanese yen, which continued to fall Monday. The dollar was 1.4 percent higher at 114.02 yen. The U.S. currency also gained against the euro, rising 0.4 percent to $1.25. Benchmark U.S. crude rose 19 cents to $80.70 a barrel on the New York Mercantile Exchange. Brent crude, used to price international oil, rose 37 cents lower to $86.23 per barrel. In metals trading, the price of gold slipped $1.80 to $1,169.80 an ounce, silver rose 10 cents to $16.20 an ounce and copper rose two cents to $3.07 a pound. In government bond trading, the yield on the 10-year note climbed to 2.36 percent from 2.34 percent on Friday.